Stressful and unhealthy lifestyle leads to several health conditions that are gateways to life-threatening medical emergencies. One such condition is High Blood Pressure or Hypertension, and it is becoming more common by the day. One out of three individuals in the United States suffers from high blood pressure; this adds up to an alarming 75 million of US citizens. 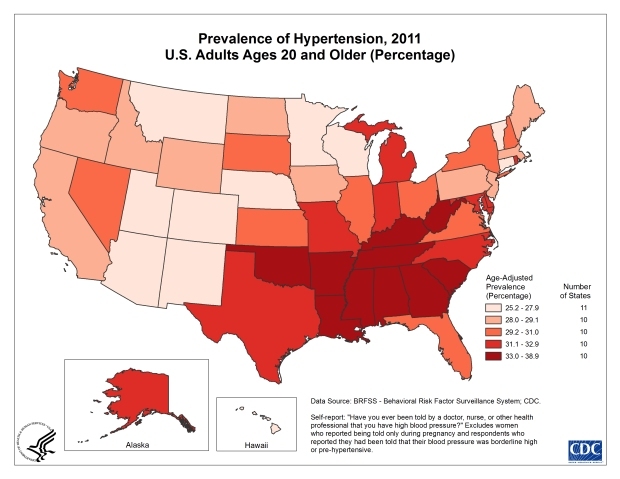 That’s not all, approximately an equal number of individuals have pre-hypertension, i.e. they are on the brink of getting affected. Untreated chronic high-blood pressure skyrockets the risk of several fatal cardiovascular diseases like coronary artery disease, stroke, heart failure, atrial fibrillation and peripheral vascular disease. Besides, it can also cause vision loss, chronic renal disease, and dementia. Hypertension is a modern epidemic that affects many lives. However, the greatest tragedy is that it is completely preventable by making a few lifestyle changes. There are a lot of natural remedies for hypertension prevention. You can even have high blood pressure treatment at home if you have a mild case. We will discuss all these aspects in this article. Although there are no symptoms of high blood pressure, it is advisable to get your blood pressure checked from time to time and take preventive action if you are at a risk. Let’s understand how our cardiovascular system works and what causes high-blood pressure conditions before discussing how to control high BP naturally. We’ll also discuss the Ayurvedic treatment for hypertension. Blood pressure is defined as the force that the blood exerts against the interior walls of our blood vessels. It is generated by the working of our cardiovascular system and is vital for our survival. “Cardio” means heart and “vascular” means vessels; so cardio-vascular essentially means heart and a closed network of tubular blood vessels- arteries, veins, and capillaries. It is also called the circulatory system as it circulates blood around the body. Our body functions on oxygen, and the circulatory system ensures that oxygen reaches every cell in our body. Simultaneously, carbon dioxide from these cells is taken up for exhaling out of lungs. Our heart acts like a biological pump to circulate the blood throughout our body by beating continuously in a rhythm. This pumping action creates a pressure (systolic blood pressure) that circulates blood around the complete body in closed-loops comprised of blood vessels and organs. Oxygen, as well as several amino-acids and hormones, are dissolved in our blood. These are readily taken up by our cells. In exchange for oxygen, blood takes carbon dioxide from the cells and the circulatory system ensures that this carbon dioxide is supplied to the lungs to be exhaled. While doing this circulation, the cardiovascular system helps in maintaining a uniform body temperature, stable pH levels and a general state of equilibrium (homeostasis) too. Systolic Pressure is the force on blood vessels when the heart pumps out the blood into the circulatory system. Diastolic Pressure arises when the heart rests in the middle of two heartbeats. The scientific unit of measurement of blood pressure (systolic and diastolic) is millimeters of mercury, abbreviated as mm Hg. Following chart summarizes the blood pressure readings and their corresponding meanings. The condition when your blood consistently exerts a higher than normal force on the walls of your blood vessels is called hypertension. High BP enhances the amount of work required by your heart and blood vessels. This means that they have to pump harder to circulate the same volume of blood throughout the body. In other words, the efficiency of your circulatory system decreases. Heart and arteries are the first victims of high-blood pressure and the damage starts from there. Consistent high pressure starts eroding the soft tissues that internally line the arteries and minute tears start appearing. Then LDL cholesterol begins to deposit in these tears within the arterial walls in the form of plaque. This condition is called atherosclerosis (narrowing of artery walls). As the blood vessels become narrower with more damage and more plaque deposition, the cardiovascular system has to work even harder and the blood pressure keeps on rising. This vicious cycle inadvertently leads up to fatal cardiovascular and other diseases like stroke, arrhythmia, vision loss, kidney failure and dementia. Hence, it is critical to stop the perpetuation of this cycle by taking timely preventive steps. Hypertension is aptly referred to as a “silent killer” because there are no specific symptoms associated with it. You may feel perfectly healthy and normal while internally it is causing havoc. In order to fight high blood pressure condition, we need to understand the root cause of the problem. The factors that cause hypertension can be categorized as those which can be controlled easily and others that we don’t have much control over. Maintaining normal blood pressure is not a one day job. You need to make conscious lifestyle changes to reduce high blood pressure naturally. But if you are able to do them, hypertension and other similar lifestyle diseases will never touch you. Here are the natural remedies for hypertension that will help you in your high blood pressure treatment at home. 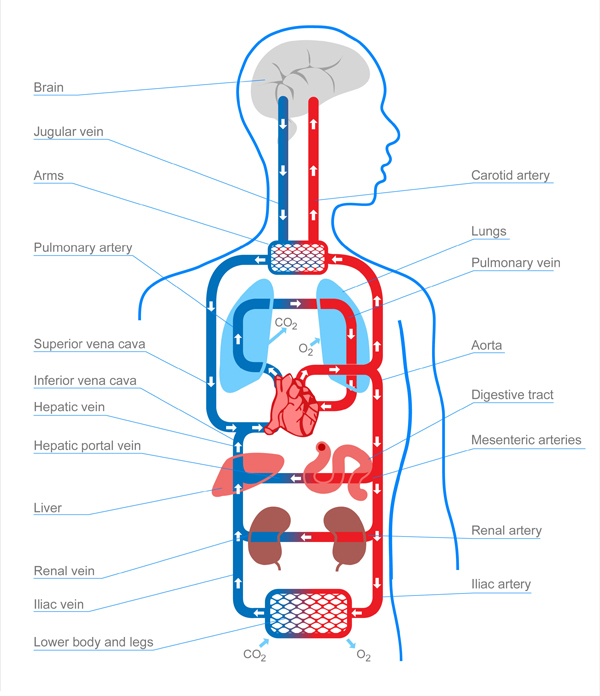 The nicotine present in tobacco is a major factor in damaging the inner walls of blood vessels, which contributes to the vicious cycle that reduces the efficiency of our cardiovascular system. The heart rate and blood pressure immediately increase after smoking a cigarette. It takes around 20 minutes for blood pressure to return to normal state again. Even second-hand smoke has a significant deteriorative effect on blood pressure. It is highly advisable to quit smoking if you are serious in your endeavor to curb the rise in your blood pressure. Obesity is another major factor that escalates hypertension exponentially. A study showed that even a 5% gain in weight enhances the risk of hypertension by 30% within four years. However, weight loss reduces both systolic and diastolic blood pressures. Maintaining near-ideal weight as per your BMI is critical to keep hypertension in check. Increase your physical activities and improve your diet as mentioned in the points below to keep obesity at bay and your heart healthy. To maintain your body weight and increase the strength of your heart, you need to be more physically active. Cardiovascular exercises that strengthen your heart muscles and overall circulatory system are a great way to start. Even brisk walking daily can be beneficial. As you progress, try to do at least 90 to 150 minutes of resistance training or interval training exercises per week. Sports activities like swimming, tennis, badminton are also great. You must measure the amount of calories, minerals, vitamins and other nutrients that you are eating in a day. Without measurement, you won’t be able to control it. You can take help of any app that does that. Sodium is particularly harmful in hypertension. Aim to reduce your sodium intake and minimize the use of table salt as much as possible. The recommended quantity of daily sodium consumption via salt is 1500 mg/day. Avoid processed food at all costs because it is extremely high in sodium and fats. A single Big Mac hamburger contains 1007.4 mg of sodium and 33 grams of fat! On the contrary, potassium is beneficial in hypertension. Eat food that gives you 3500-5000 mg of potassium on a daily basis. Try to consume a healthy diet that is low in saturated and trans fats. Increase the quantity of fruits, vegetables, whole grains, and low-fat dairy products in your daily diet. As mentioned in above section, avoid any kind of processed food and junk food. These include processed and pre-packaged meat, frozen meals, canned meals, candy, soft drinks and the like. Try to eat whole food grains, low-fat dairy, leafy greens, meat sourced from butcheries instead of a grocery store and fruits as much as possible. Consuming 3 drinks in one sitting temporarily elevates the blood pressure level. In chronic alcoholics, however, the effects are quite permanent. The recommended limit of alcohol consumption is a maximum of one drink daily for women and two for men. Sound sleep is important in reducing stress levels and restoring blood pressure levels. Ensure to take 7–8 hours of sleep every day. Meditation is proven to be helpful in controlling blood pressure too. If you are already suffering from hypertension, you must take a doctor’s consultation and take the prescribed medicines regularly. Alternative medicines, especially Ayurvedic can be highly effective in control and prevention of hypertension too. Without regularly monitoring, you’ll never come to know of the actual situation and whether you are making progress or your condition is deteriorating. There are several automatic or semi-automatic devices available to measure blood pressure. Know what your blood pressure should be and work to keep it at within normal level. Ayurveda can help you in controlling high BP. To speed up the effects of diet control and physical activities, take Divya Mukta Vati Extra Power. It is a popular Ayurvedic medicine for controlling high blood pressure. You can take a free ayurvedic doctor consultation on Skype with expert doctors at Ayurveda For All. Systolic 140-159 & Diastolic 90-99: 1 tablet twice daily. Systolic 160+ & Diastolic 100+ : 2 tablets twice daily. If your BP is even higher than 180/110, you need immediate medical attention. Divya mukta vati contains Centella asiatica (Mandukaparni), Convolvulus pluricaulis (Shankhapushpi), Acorus calamus (Vacha), Onosma bracteatum (Gaajwaan), Celastrus paniculatus (Jyotishmti), Tinospora cordifolia (Giloy or Guduchi), Withania somnifera (Ashwagandha), Mukta pishti (Moti Pishti), and Praval Pishti. The mixture of these herbs has antidepressant, anti-hypertensive, and antioxidant properties. Besides, it also reduces stress and relaxes your blood vessels and muscles. You can buy Divya Mukta Vati and get it delivered internationally from Ayurvedaforall.com. 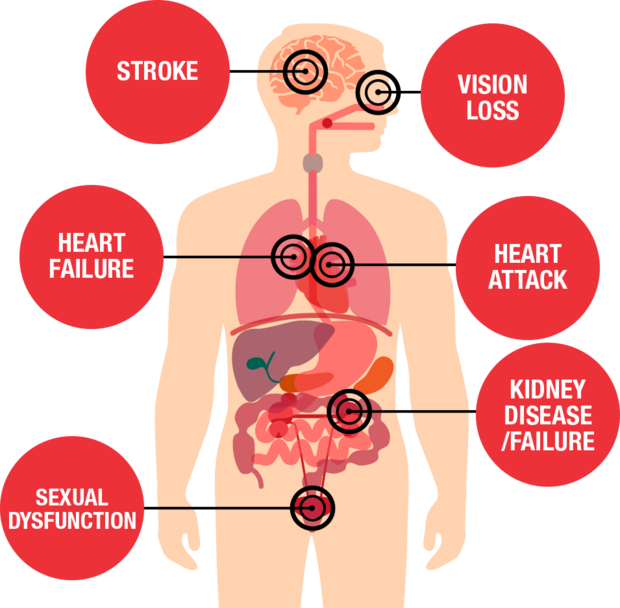 High blood pressure (HBP) or Hypertension is a modern day epidemic that affects millions of people worldwide. This lifestyle disease can lead to fatal life conditions like heart failure, stroke and kidney failure if ignored. It is recommended to check your blood pressure frequently to keep it within normal limits and take preventive measures appropriately and proactively. High BP has become very common. Since, people are living such stressful lives these days, its necessary to know some home remedies about BP. This article can help many people like me to fight with my high BP problem. 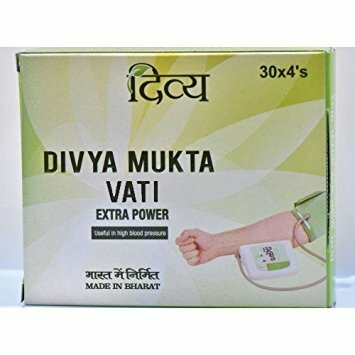 I started taking Divya Mukta Vati Extra Power ayurvedic medicine for controlling my high blood pressure. I highly recommend this to all.